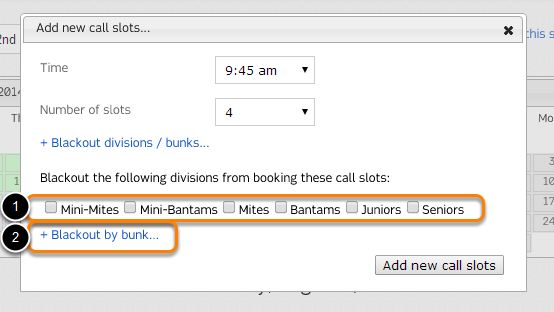 Blackouts can be set for Campers within selected divisions or bunks, preventing them from being scheduled for a phone call through the Parent Dashboard for a particular time slot. 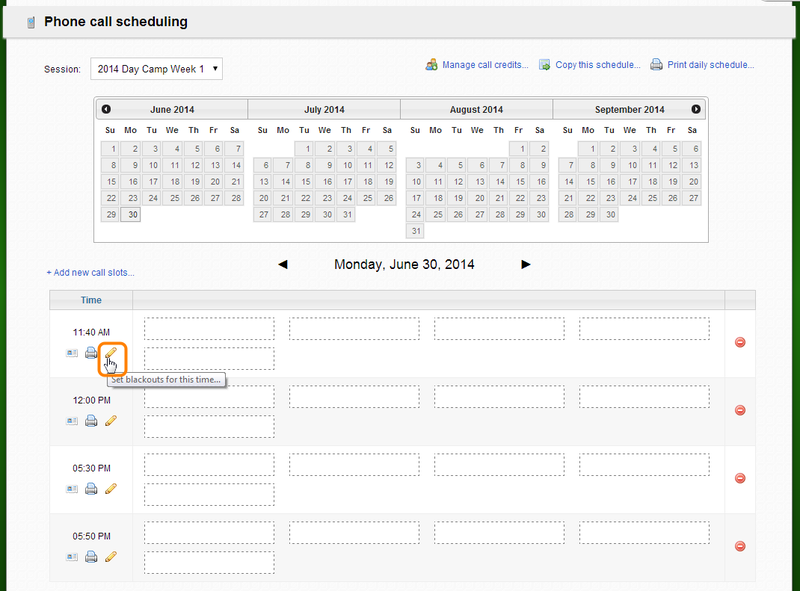 The blackout can be overwritten on the administrative side of CampSite through the Camper Profile should a camper need to be scheduled during the blackout. Blackouts can be set for both new and existing tour slots. 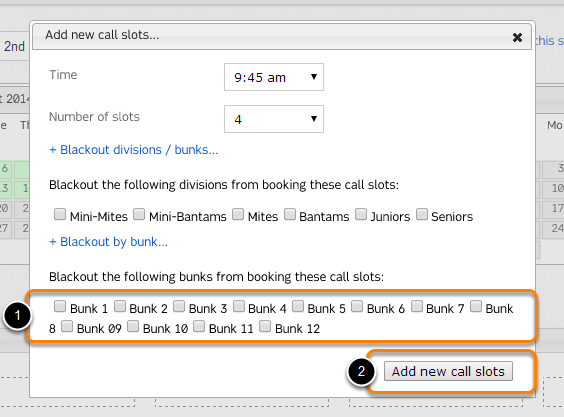 Click "+Blackout divisions / bunks..."
Click Add new call slots. The new phone call slot will be added. Hovering over the shaded corner will reveal blackout details. 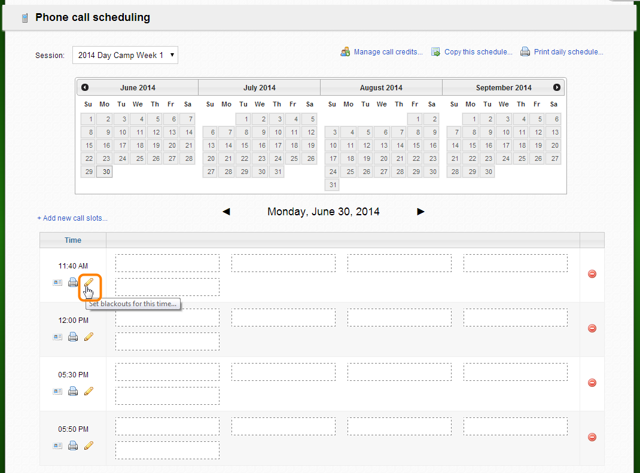 To create a blackout click on the pencil under the time slot. Gray shading in the corner of the phone call slot indicates that there is a blackout. You can view blackout details by hovering your mouse over the shaded area. Note: Copying phone call slots that have a blackout will also copy the blackout.